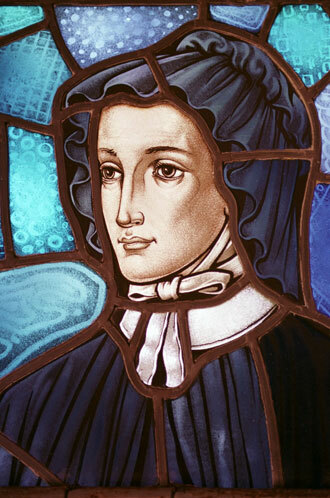 Elizabeth Ann Seton (originally Elizabeth Ann Bayley) was the leading figure behind the foundation of the Sisters of Charity, the first ever such congregation in the United States. Elizabeth was born in 1774, in New York City, and she lost her mother at an early age. Her father, Dr. Richard Bayley would marry another woman in an attempt to provide motherhood to Elizabeth and her sisters; however, the marriage ended in a separation. Following this her father would move to London in order to pursue higher studies and she would be sent to live with her uncle’s family in New Rochelle. From a very young age Elizabeth showed a liking towards the scriptures and poetry and music. From a very young age Elizabeth showed a liking towards the scriptures and poetry and music. The sense of religiousness had been imbibed into her by her stepmother, and after her marriage in 1794, she would move back to New York with her husband and start her services as a nurse and caregiver to the poor and sick as part of the Episcopal C HYPERLINK “https://www.episcopalchurch.org/”hurch. But it was evident that Elizabeth wanted to provide help to the needy in a much larger way. After her husband’s death in 1803, Elizabeth would be received into the Catholic Church, of which there was only one in the entire city. She faced a certain level of social stigma due to this decision as American society still looked down upon Catholicism. During this time, she would meet Abbé Louis William Valentine Dubourg, a priest who had travelled to the United States to escape the persecution in post-revolution France. 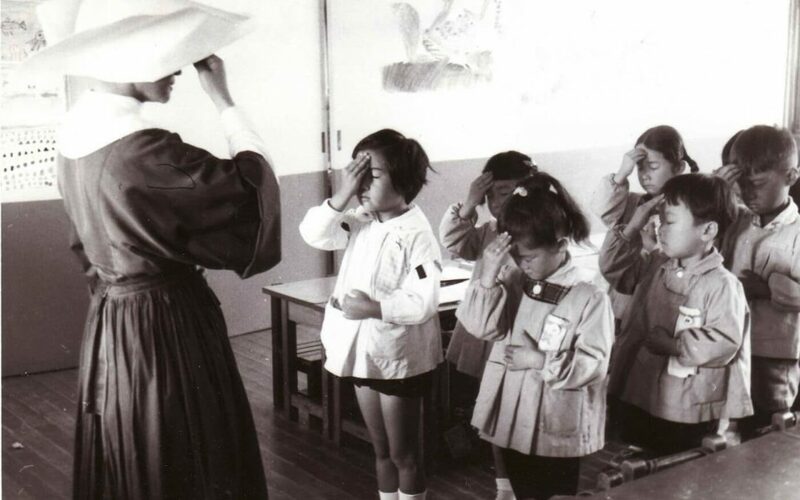 They realized that they shared a similar goal of setting up a Catholic institution to help those in need, and within the following year they had set up a free school and also a group to help poor children, orphans, and sick people. After her husband’s death in 1803, Elizabeth would be received into the Catholic Church, of which there was only one in the entire city. 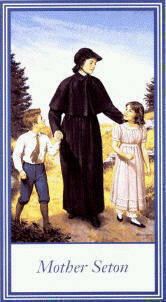 She faced a certain level of social stigma due to this decision as American society still looked down upon Catholicism. During this time, she would meet Abbé Louis William Valentine Dubourg, a priest who had travelled to the United States to escape the persecution in post-revolution France. 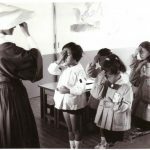 They realized that they shared a similar goal of setting up a Catholic institution to help those in need, and within the following year they had set up a free school and also a group to help poor children, orphans, and sick people. 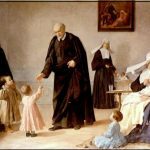 She was highly influenced by the methods of the Daughters of Charity, one of the largest charitable Christian organization for Catholic women, and how catholic women could come together and be such a strong force of social change. 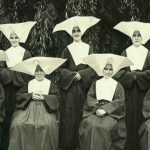 She had plans of opening a branch of the Daughters of Charity, however the political strife of the 19th century U.S.A. did not grant her the permission to do so. So, she would take upon the new name ‘Sisters of Charity’ and accepted the rules established by Saint Vincent De Paul who formed the Daughters of Charity. 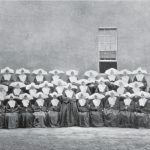 While the Sisters of Charity began in 1809 with as few as 5 members, by the time of Elizabeth’s death in 1821 it was a group consisting of more than 50 sisters. 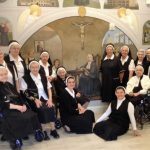 As of now the Sisters of Charity are the official branch of the Daughters of Charity in the United States and have led to the spawning of multiple Catholic groups in the United States. Elizabeth is now remembered as ‘Mother Seton’ and she was beatified in 1963 by Pope Jon the 23rd giving her sainthood and establishing January 4th as her feast day.